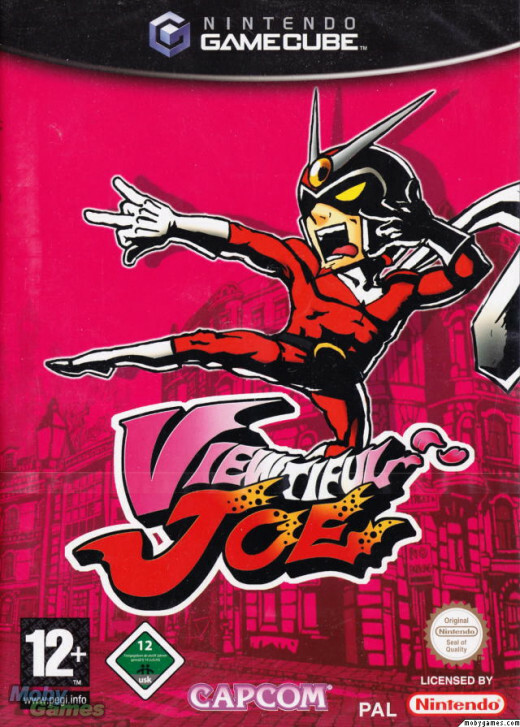 Viewtiful Joe was a 2003 release developed by one of the biggest names in computer game development: Capcom. It is a cult classic title for the Nintendo GameCube and really showcased what the console was capable of. It also let the gaming community know that there was plenty of life left in the side scrolling platform arcade game genre. The back-story to the game concerned Joe, an avid fan of movies whose girlfriend Silvia was kidnapped whilst they were watching a film starring Joe's favorite hero, Captain Blue. Joe was shortly transported to 'Movieland', where Silvia was taken captive by a villainous and sinister group known only as Jadow. After accepting a special and empowering 'V-Watch' from Captain Blue himself, Joe transformed into the heroic 'Viewtiful Joe' and set out on a mission to rescue his one true love. The scene was set, it was time for some truly beautiful, or should that be 'viewtiful' action? Please read on for some information on a game that never quite received the kudos it deserved. 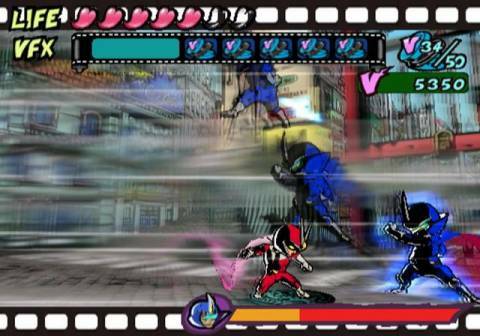 Viewtiful Joe's core game-play was similar to many traditional side-scrolling beat em up games from years gone by. As Joe, the player was mostly limited to moving left, right, up, and down within a fixed two dimensional path. Moving to the left or right caused the background to scroll in the appropriate direction. The game contained many staple platforming elements such as the ability to perform jumps and double jumps. Combat entailled fighting multiple on screen enemies, with these enemies appearing from each and every direction. In a neat twist the enemies could also appear from the foreground or the background giving the game proper '3 Dimensional' depth. Joe possessed many abilities (thanks to the empowerment of good old Captain Blue) including the ability to punch, kick, and evade attacks. You could dodge out of the way of attacks by leaping upwards or ducking, and dodging enemy attacks temporarily dazed your would be assailant which left them wide open for your own counter moves. 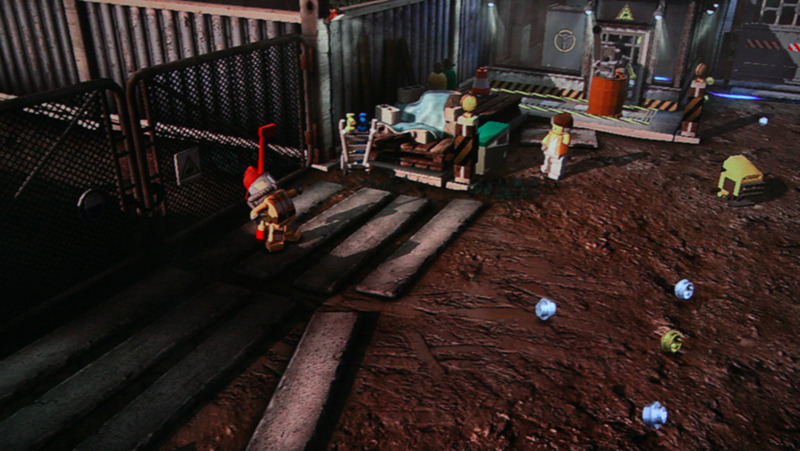 The player also had a certain number of hit points in the form of 'Life Marks' located above the VFX meter, which decreased whenever Joe took damage. Health levels were restored by picking up and eating burgers (another familiar feature of this type of game) which were dotted around the play area. 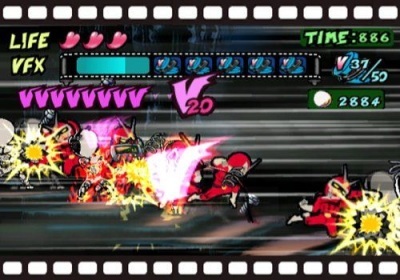 The elements that made Viewtiful Joe stand out from other side scrolling beat em ups was the unique 'VFX powerup' feature. As the story unfolded, our Joe had been transformed into a superhero through good old Captain Blue, giving him 'Viewtiful Effects (VFX) Power', which was designed to emulate camera tricks and special effects as seen in action movies. 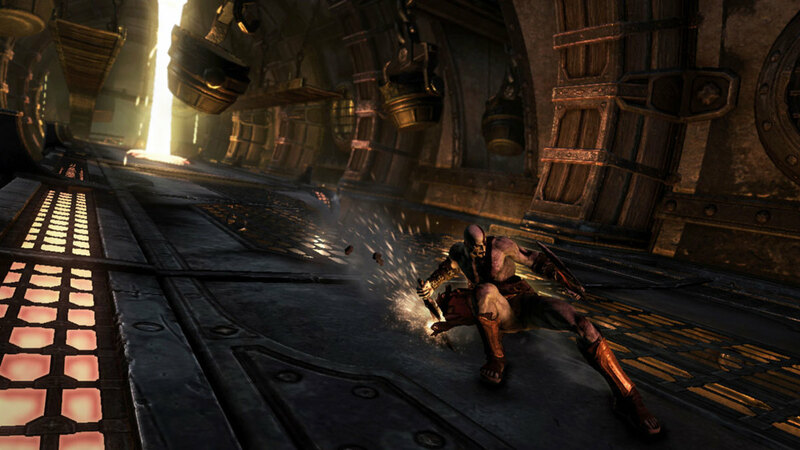 VFX Power was used in both taking on various enemies and also when solving puzzles. In fact there were many points in the game where using a VFX power was required to overcome an obstacle and progress to the next stage. These puzzles were usually well laid out and quite obvious to the player. These three powers were limited by the 'VFX meter' displayed at the topmost area of the screen. Normally the meter was full, giving the player access to Joe's super powers via his transformation from ordinary Joe into 'Viewtiful Joe'. The meter slowly decreased when an ability was being used by the player. 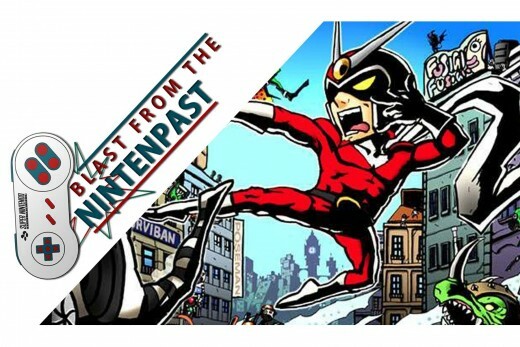 Once depleted, Viewtiful Joe changed back to 'normal' Joe, which lowered his attack and defence abilities and also left him temporarily devoid of any VFX Power. The VFX Gauge automatically refilled over time and could also be manually filled by picking up bottles of 'VFX Juice'. These juice bottles were extremely handy and thirst quenching at the same time! The first VFX Power you could collect was called 'Slow', which when activated slowed time down (in a similar fashion to bullet time), causing the player's attacks to be more powerful and increasing Joe's reflexes allowing the player to dodge attacks more easily. The second VFX Power was called 'Mach Speed' which allowed Joe to move at super speed. This ability created multiple after-images of Joe when a flurry of attacks was unleashed and was cooler than a cool thing cooled at super-cooled temperatures. Not only was it cool, it also caused attacks to envelop Joe in a temporary heat shield which rendered him immune to incoming flame attacks. Enemies could also be set ablaze when struck! The last VFX Power you could collect was called 'Zoom In'. This enabled a camera close-up of Joe and powered up his normal attacks as well as paralyzing all lesser foes in close proximity to him. To ensure game-play balance, any damage dealt to Joe whilst zoomed in was also increased so good strategy was required when using the 'Zoom In' power-up. If all of this wasn't enough you also had the ability to combine any two of these powers at one time. Believe me, slowing down time and zooming in all at once was nothing short of brilliant. Our hero could dodge incoming missiles whilst taking out a number of attackers in easily executed combination moves that was reminiscent of action sequences from The Matrix. 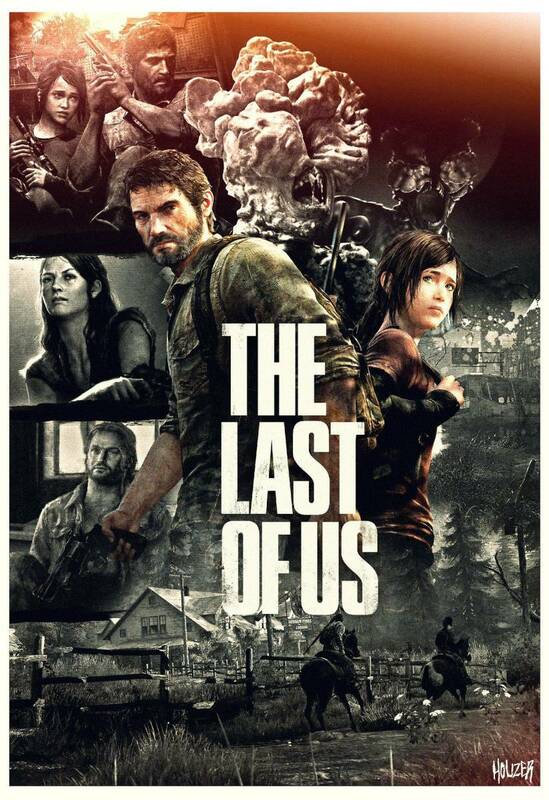 In many ways this is the game that The Matrix could, and should, have been. Using the VFX powers in combination really was something special, and elevated this title above the standard platform beat em up games. This game is a genuine classic title, not only for the GameCube but in the annals of arcade gaming in general. 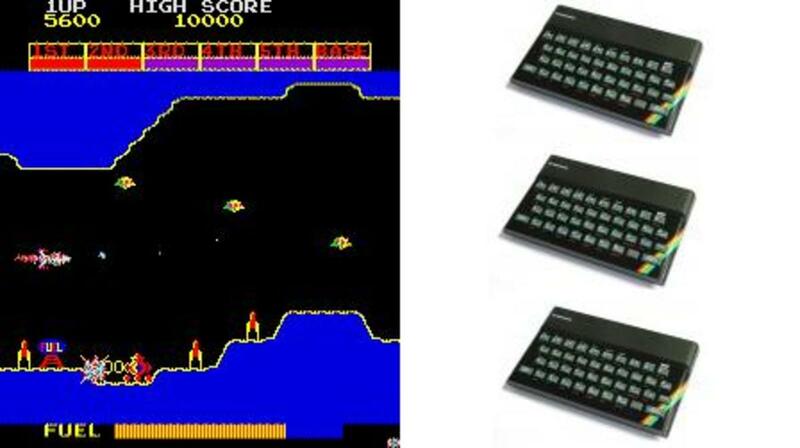 Despite being a simple premise, and another in the tried and tested side scrolling formula the superb VFX power-ups made this a stand out arcade game. When it was released it was met with a lot of praise and positive reviews and became a must-have title for 'cubers. The various powers and combinations kept the game-play fresh and the level design evolved nicely as you progressed through each of the levels. The imagination and thought that went into creating this masterpiece really does elevate it beyond your average scrolling beat em up fare. Boss battles were also included which was an ideal and familiar scenario to almost everyone that played this type of title. 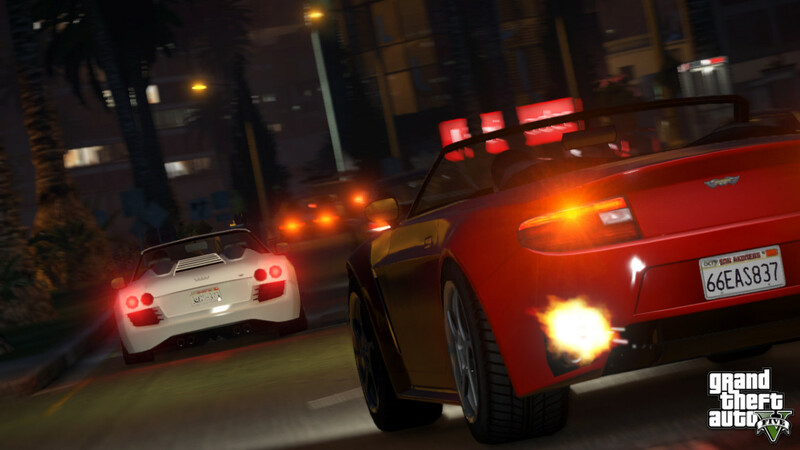 More than a decade on this game is still fresh, fun and more than worthy of your time. Just as the tag-line stated, it's not just beautiful. How do you rate Viewtiful Joe on the GameCube? Any fans of Viewtiful Joe on the GameCube? Thanks for the comments and the kind words. Viewtiful Joe really is a great game and was something different in the platform genre when it was released. I'm glad you commented about this on my question concerning the Gamecube game recommendations. I've always been sceptical about this game and never really knew what it was like (I swore it was something along the lines of Parappa the Rapper amongst other rhythmic titles), but I'm glad to see it's a recommended platform-arcade game. I'll definitely pick this up thanks to your review!